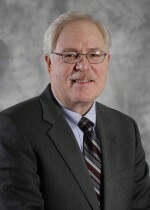 Larry Rose, principal in Scheffel Boyle’s Bethalto, Ill., office, has announced his plans to retire on June 30. Rose’s retirement will mark the end of his 40-year public accounting career. Rose spent 40 years at Allison Knapp Siekmann, Ltd., before they joined with Scheffel Boyle in October of 2014. He is the principal in charge of the Bethalto office location for Scheffel Boyle. Along with Rose’s retirement, Scheffel Boyle will consolidate its Bethalto office location between its Alton, Edwardsville and Belleville Ill., offices in order to provide a team-oriented service environment for Larry’s clients in his absence.